readergirlz: Exclusive interview with Alison Cherry! Exclusive interview with Alison Cherry! What if you lived in a town where redheads reigned supreme? That's the premise of Alison Cherry's satirical new novel Red, set in the fictional town of Scarletville. Felicity St. John has hair to die for - rather to dye for. You see, her mom has been getting Felicity's strawberry blonde hair dyed since she was little, determined to make her daughter popular and powerful. Now Felicity's in high school, about to participate in the Miss Scarlet Pageant, much to her chagrin and her mother's delight. Then a series of anonymous notes appears in Felicity's locker: someone knows the truth about Felicity's hair and is threatening to reveal all unless she does what they say. How far will Felicity go to protect her roots? Will she do what her mother wants, or will she finally be able to just be herself? 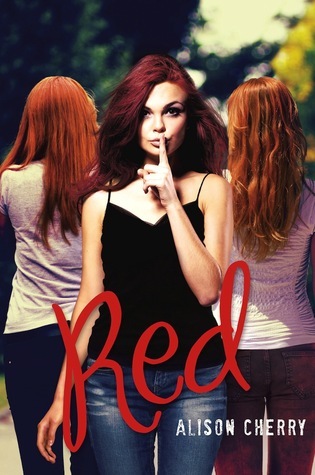 Author Alison Cherry, a natural redhead, stopped by my blog Bildungsroman today. Check out our discussion about society, conformity, and individuality, as well as the writing process. I am the admin of Aboutread. We are having a promotion right now, which is to provide a free 'Find in Library' tool for book bloggers. Please check Aboutread.com or http://aboutread.com/help.aspx#ShareBooks for more details. By adding the provided link, the visitors to your site can check library catalog directly.